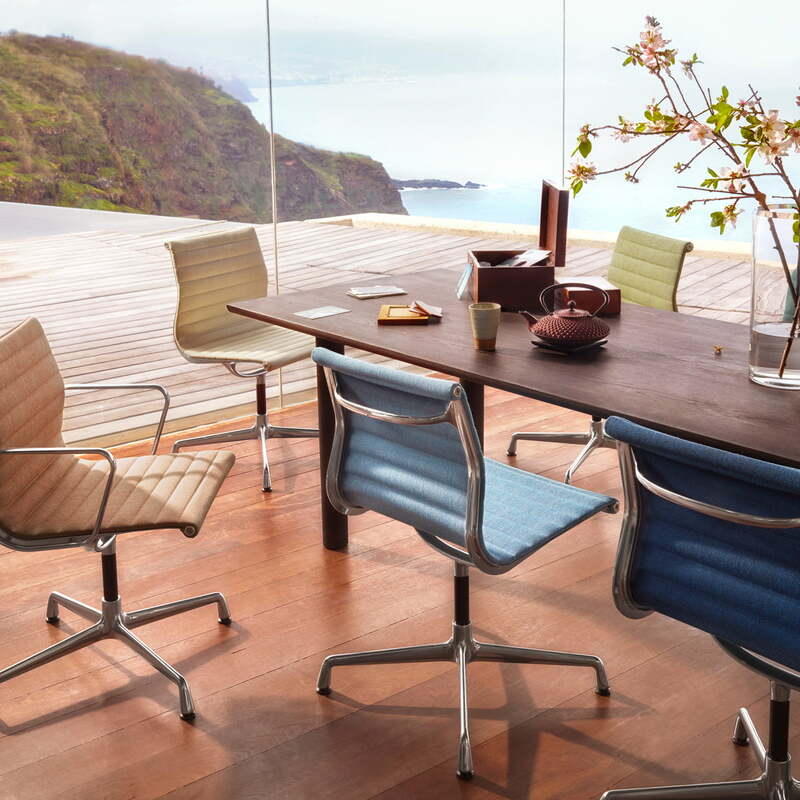 Originally designed for the private home of an art collector, the aluminium chairs by Charles & Ray Eames as true classics of the 20th century. During the construction phase of the chair, the designer couple left the principle of the seat shell behind and decided to use fabric or leather ribbing horizontally stretched between the two aluminium sides instead. 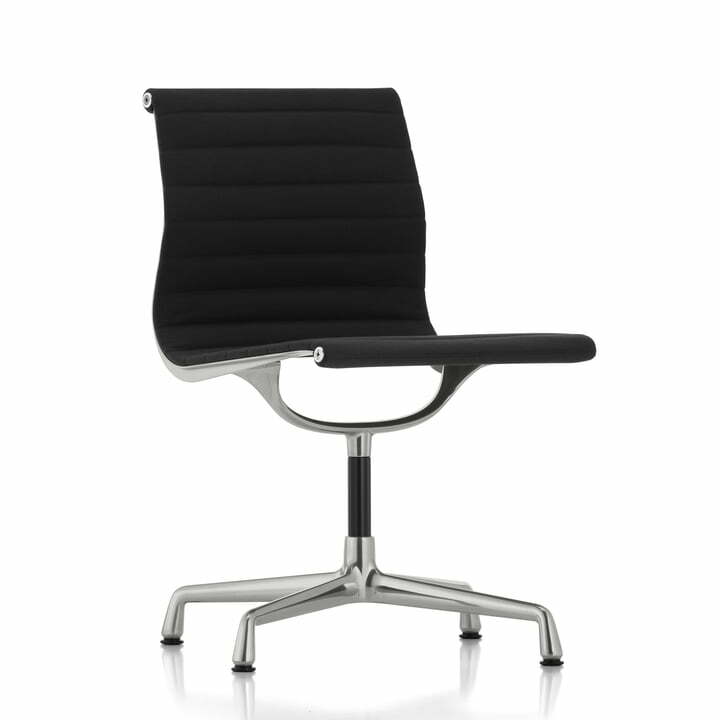 The EA 101 aluminium chair adapts to the body and offers high comfort, even without thick padding. Thanks to these characteristics, the EA 101 office chair is equally suitable for offices, public spaces and the private home. Compared to the other aluminium chairs, the seating position is upright and slightly higher while the armrests are shorter making it ideal for the private dining room, restaurants or meeting rooms. The Vitra EA 101 is also available in other colours, with other upholstery as the as well as with armrests as the EA 103 or with armrests and a swivel base as the EA 104. In addition to the EA 101 and the similar EA 103 and EA 104, many more models from the Vitra Aluminium Group are available.